All-you-can-eat lunch buffets, extravagant dinners, and holiday feasts were all a thing of the past. Now it’s time for a much needed detox and post-holiday cleanse. I’m sure the first thing that comes to mind when I say detox is cold-pressed juice cleanses. But juicing in the Winter just doesn’t do it for me. I need something that will bring me heat and warmth during these cold winter months. So let me introduce to you, Souping. Souping is the new Juicing, where you obtain all the minerals and vitamins of your ingredients, but in a hearty, savoury form. I often fast intermittently to give my body a rest when I’ve eaten a little too much. Intermittent fasting (short fasting periods of 1 to 3 meals consecutively) allows the gut to rest and encourages cellular renewal. 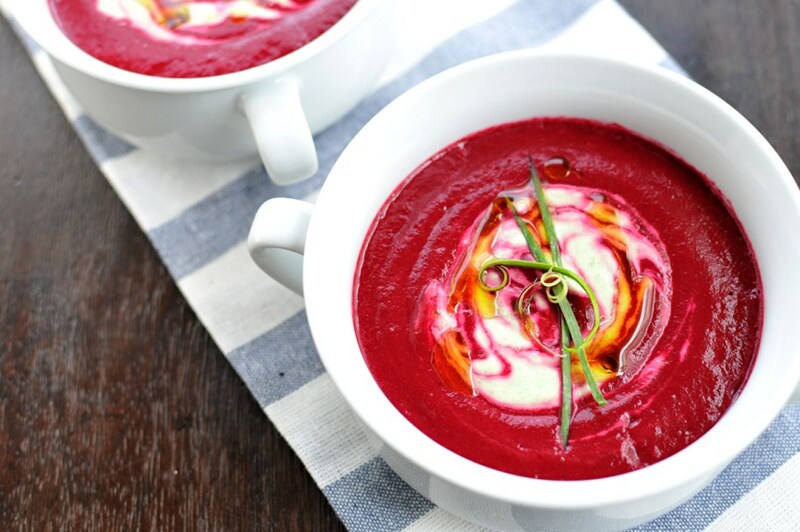 Try fasting on this detoxifying, liver-loving Roasted Beetroot Soup, recipe from Gut Gastronomy written by Vicki Edgson & Adam Palmer. Place the beetroot and celeriac on a non-stick baking tray and roast for 30 mins until golden brown. Add beets and celeriac and cover with chicken broth. Simmer gently for 15 mins. Remove bay leaves and thyme, add cider vinegar. Sieve soup and season with salt and pepper. Serve and garnish with celery leaves.